Polycarbonate-ABS Alloy is an incredibly tough material designed for strong, resilient parts. This unique material provides vast improvements (over standard ABS) in heat deflection, impact resistance, rigidity, and flexibility. 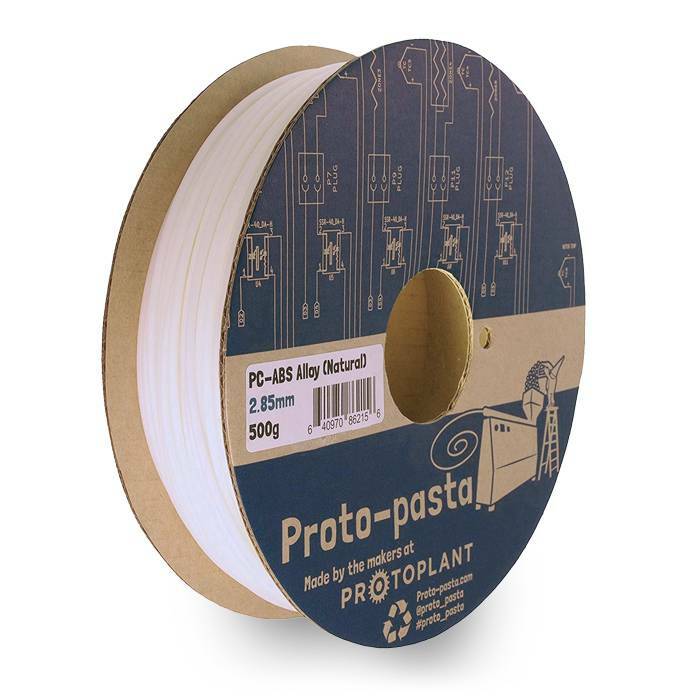 PC/ABS filament in white natural color. Heated bed and all-metal hotend recommended! For high performance hardware. Processing PC-ABS is a bit challenging. For best results, a heated bed is required to control warpage and improve layer adhesion, set the bed at 120 °C up to 140 °C. Slow (10-20 mm/s) and hot first layer for best adhesion. Standard build surface preparation like Kapton, ABS juice, or UHU stick. 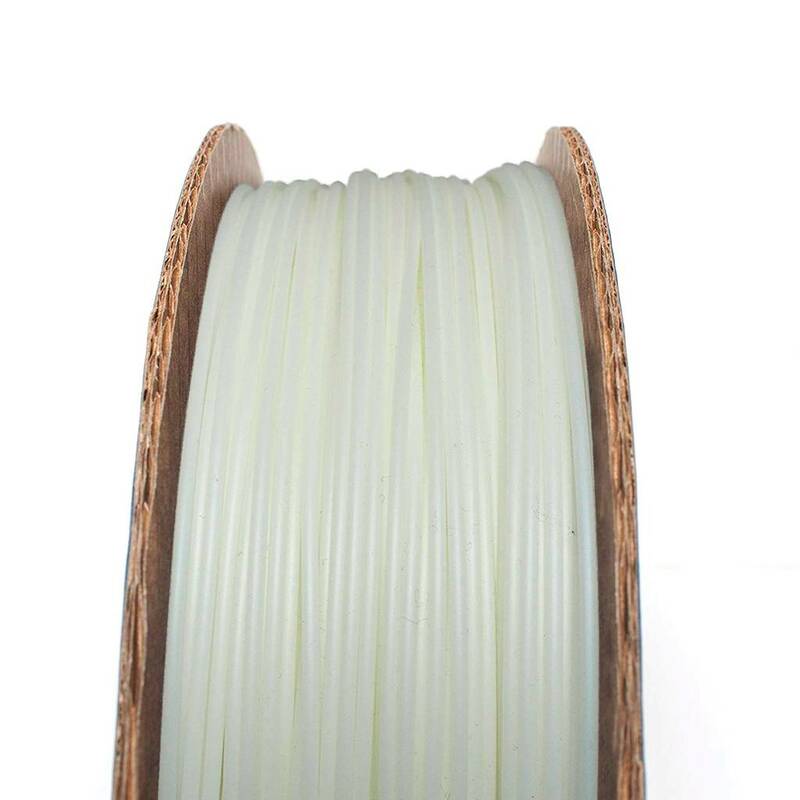 Recommended print speed: 20-80 mm/s. PC-ABS is moisture sensitive. 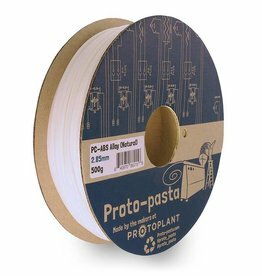 Even when stored in a bag with desiccant, drying in an oven for ~ 1hr at 85-95 °C may be required for bubble free high strength prints. Good results are achieved when printing small parts at 270-290 °C on a heated bed at 120 °C up to 140 °C. For larger prints with good layer adhesion and minimal distortion, an enclosure is ideal. Due to all the different types of hotend it's extremely difficult to give a temperature advice. Please consider these tips, provided by the manufacturer, as a starting point to find the temperatures that work well in your setup. You may have to adjust the temperature settings slightly based on your type of printer.